A few weeks ago, I was speaking with a business association that was thinking about using a mobile app to engage their members. Lots of their members use smartphones to answer emails or update social media, they told me. So, why not let them network and register for events on their devices too? But they were concerned — would they see enough benefits to make setting up an app worthwhile? Luckily, the Wild Apricot for Members app is free to download, and only takes a few seconds to set up. Your members can do things like pay for event tickets and view their profile, all while they're on their way to work. 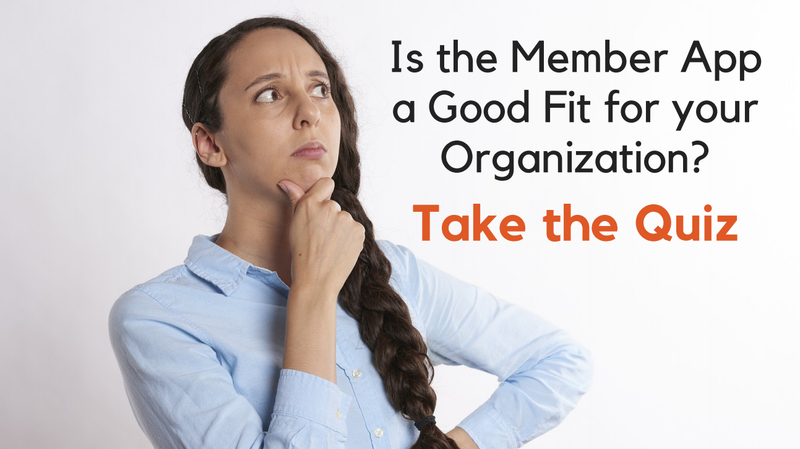 We came up with 5 questions to help the association decide if the member app was a good fit. They answered the quiz and the result came back — it was a match. They got started with the mobile app that afternoon. How Could the App Help? Take the Quiz! If you're trying to decide if the app could work for your members, here's the quick quiz we made to help. Once you've answered the questions, you'll see a compatibility score and a suggestion for some next steps. To find out more about how you can use the app to grow your organization, take a look at this post. We've also created a quick guide that will show your members how to use the app in just a few minutes. Just a quick note: the app is only available to organizations that have a paid account with Wild Apricot.